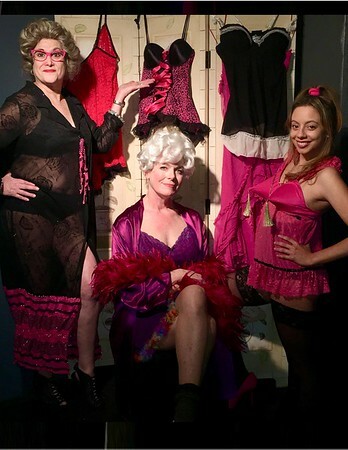 BERLIN - A story about a granddaughter stumbling upon her grandmother’s illegal boutique business is playing at the Connecticut Cabaret Theatre through May 5. “Nana’s Naughty Knickers” runs every Friday and Saturday at 8 p.m. at the theater, located at 31-33 Webster Square Road. Bridget is about to become roommates with her grandmother, a synopsis of the play reads. But what Bridget saw as a unique opportunity to stay with Nana in New York for the summer turns into an experience she’ll never forget. It seems her “sweet” grandmother is running an illegal boutique from her apartment, selling handmade “naughty knickers” to every senior citizen in the five borough area. Will Bridget be able to handle all the excitement? Will her Nana get arrested or worse - evicted? The cast features Lori Feldman, Karen Gagliardi and Ashley Ayala. Josh Luszczak, Dave Wall, Melissa Pelletier, Linda Kelly, Bonnie Sprague, Chase Fish and Russell Fish play supporting roles. The author, Katherine DiSavino, is a Los Angeles writer. Her three published plays have been translated into multiple languages and performed around the world, according to a release. The theater is cabaret-style and patrons can bring their own food and alcohol. Tickets are $30 plus tax and can be purchased by calling the box office at 860-829-1248. Reservations are recommended. For more information, visit ctcabaret.com. Posted in New Britain Herald, , New Britain on Sunday, 8 April 2018 21:11. Updated: Sunday, 8 April 2018 21:13.